Explore wild spaces, experience the Trent Valley in a whole new way, do something awesome for local wildlife. Join us for a wild adventure that’ll take you on an 9km run and 8km canoe downstream along the mighty River Trent in Derbyshire. Due to the style of canoes being used entries are for teams of two or three only; so it's a great way to get social outdoors. By taking on our wild challenge you’re helping bees, badgers, butterflies and more. That’s amazing! 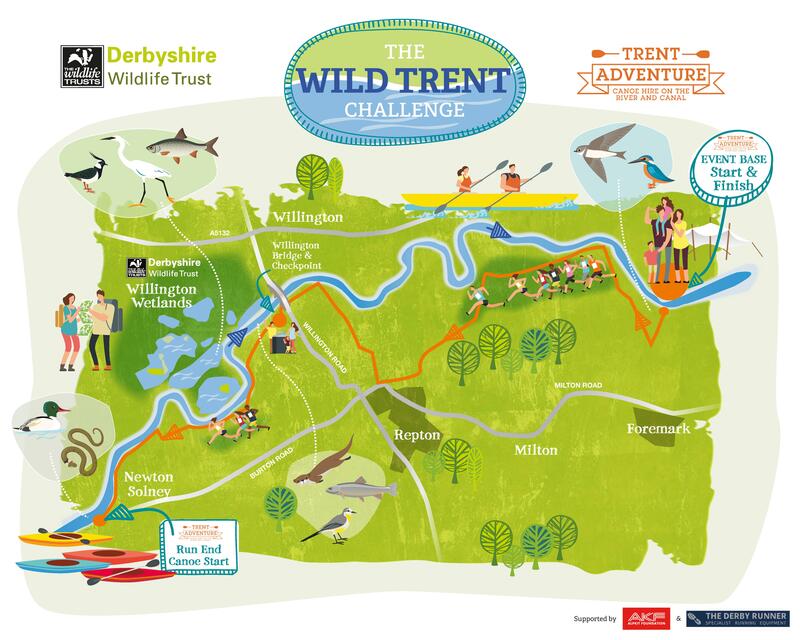 You can choose to start your Wild Trent Challenge at 9:30am or 2:30pm. Participants must be aged 18 years or above on event day. We ask each Wild Trent Challenge participant to raise £100 to help us put nature into recovery; from otters to ospreys. We’re here to help you smash your physical and fundraising targets. So book your place, check out our top tips and let's get started! Friends and family are welcome to come along on the day and will have a chance to enjoy the food, drink and wildlife on offer from bankside. No prior canoeing experience is required to take part. Our partner Trent Adventure will provide a full safety and technique brief on the day. First aid, water safety and rescue teams will be provided across the length of the course.